Seller is motivated! Beautiful 3/2 apartment condo, with a beautifully upgraded kitchen featuring 42" white cabinets, granite countertops, and stainless steel appliances. 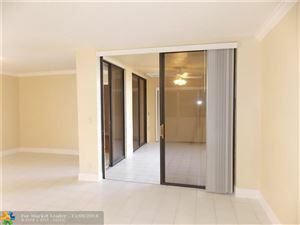 Tile floors throughout the main area, guest bathroom has also been upgraded. Enjoy the resort lifestyle at the Township master clubhouse with the best amenities; in addition, to the clubhouse right next to the unit. There is a minimum 15% down payment as per the association. Nestled in Coconut Creek, the GÇ£ Butterfly Capital of the WorldGÇ¥ is where you will find this well maintained 2 bed 2 bath condo with brand new hurricane certified impact windows, ceramic tile, unit freshly painted and updated with newer kitchen and appliances and new (carrier) A/C located on the largest lake in the township overlooking scenic Tradewinds Park and Butterfly World. The million dollar view of the sunsets are magnificent. Applewood 2 has a clubhouse, theater, library and offers many resort amenities for your enjoyment including tennis and basketball courts, fitness center and heated community pool and more. Per Assoc at least 15% down required - no rentals or Corporate buyer no pets, trucks or motorcycles. HOA is $380 per month and the township master is $150 quarter. BRIGHT, AIRY UNIT WITH BREATHTAKING WATER VIEWS ALMOST EVERYWHERE. LAMINATE AND TILES. 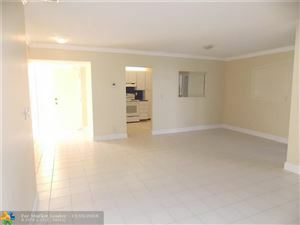 OCCUPANT HAVE THE CONVENIENCE OF THE COMMUNITY BUS & CLUBHOUSE. CLUBHOUSE CAN BE RENTED FOR SOCIAL AFFAIRS. OCCUPANT WILL ALSO HAVE ACCESS & ENJOY THE FITNESS CENTER, RACQUET BALL, TENNIS, THEATRE, LIBRARY AND MANY MORE AT THE MAIN CLUBHOUSE. 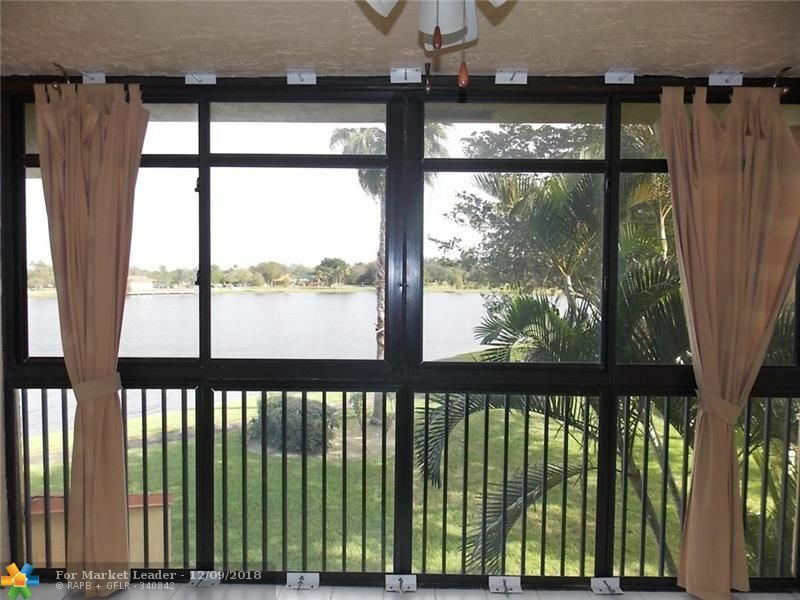 LOCATION IS CLOSE TO THE TURNPIKE & SAWGRASS & MAJOR ROAD WAYS. NOT FAR FROM THE PROMENADE MALL. $1000 refundable sec deposit from tenant for the assoc. LAUNDRY IN UNIT**NO PETS**** for sale as well.